Before I get around to writing (again) about the ADHD aspect of the local craft beer scene, I feel the need to give a shout out to some folks who are doing an increasingly great job of promoting craft brands around Portland and beyond. I'm talking about the pdxbeergeeks. The group is the brainchild of Michael Umphress and Emily Engdahl, a couple of beer fans who concluded that hosting regular gatherings of local beer geeks and promoting the craft beer cause in other ways is a worthy cause. I probably don't need to mention that they were tipping a pint or two at the time. This was July 2011. The logo started showing up on shirts and stickers last summer. They are slowly building up a presence in the real and digital worlds, hosting events here and there and generally promoting the cause via Twitter, Facebook, their blog and more. Check the site out for interviews of brewers, bloggers and beer geeks. Several weeks ago they hosted an event at Bridgetown Beer House. I didn't make it to that gig, but I understand the place (admittedly small) was packed. As pdxbeergeeks expand their reach into the nooks and crannies of the Portland beer scene, I expect the number of events will grow. And get better. Last night they hosted a well-attended event at The Guild Public House on NE Couch. 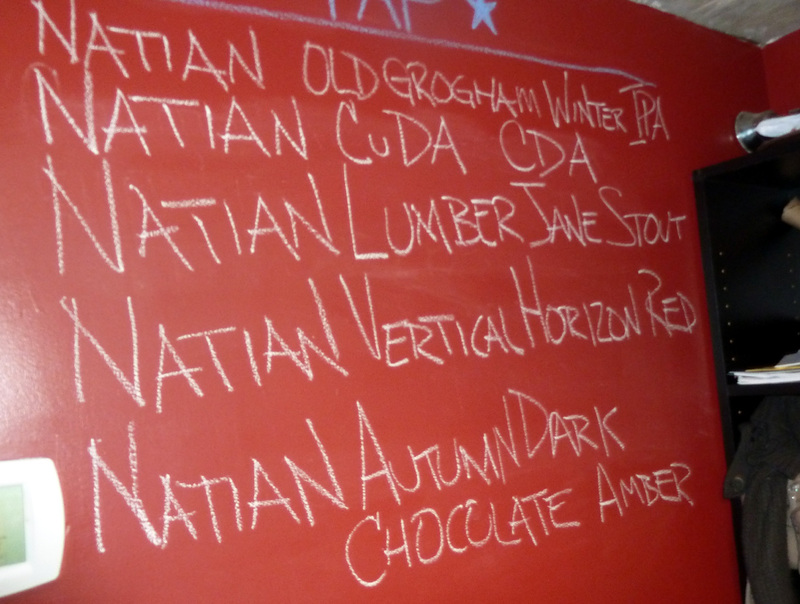 This event highlighted Natian Brewery, a small nano setup just up the street from The Guild Public House. Natian is preparing to release Undun Blonde Ale in 16 oz cans and this was a sort of sneak peek. Of course, the taps were pouring five Natian beers. I am particularly partial to Vertical Horizon Red, but these guys make great beers. Michael was without his compatriot last night, handing out pdxbeergeeks stickers, mingling with the crowd and handling a couple of raffles. It seems Emily was indisposed, having just returned from a trip to NoLa and apparently a zombie due to a lack of sleep. 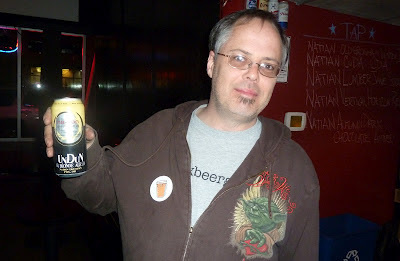 Most bloggers and serious beer fans know about the pdxbeergeeks. Readers of this blog may not. If you want to know more about what's happening in the Portland craft beer scene, I suggest you connect with these guys via one or all of their channels...meaning the blog, Twitter or Facebook. The next event on the pdxbeergeeks calendar happens at The Commons Brewery on Friday, March 9. Anyone who hasn't been to The Commons and tasted their beers needs to get over there. The upcoming event is a great opportunity to do just that. Keep up the fantastic work, kids! Thanks for sharing the #pdxbeergeeks love! It was nice to see you out last night, and I'm looking forward to seeing you at future events. Pete, thank you so much for your support - people like YOU are what *we're* all about at #pdxbeergeeks! Cheers! It's well-deserved credit...and probably overdue. Great meeting you last night. Good times with the #PDXBeerGeeks. Thanks for the links and the write-up. Cheers! This will be great. Count me in! The Commons is definitely a worthy destination. We should arrange to meet there. Fab beers!